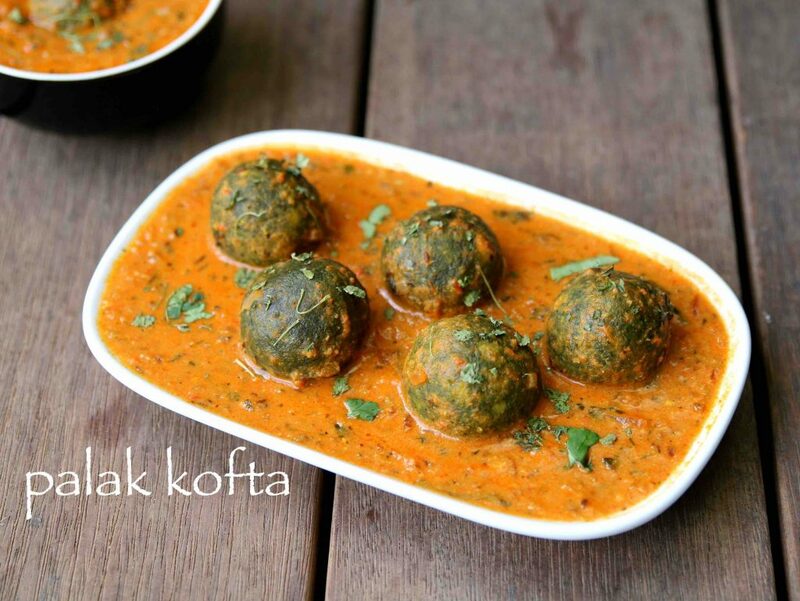 palak kofta recipe | spinach kofta curry | palak kofta curry with detailed photo and video recipe. 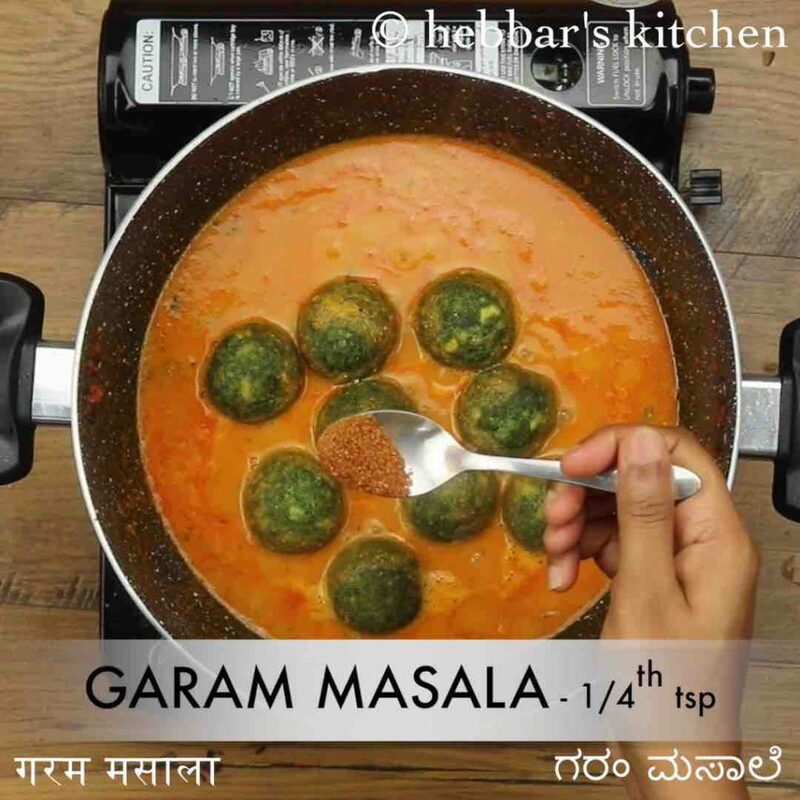 a simple and healthy palak based north indian cuisine gravy recipe prepared with spinach and paneer balls. the recipe has a strong similarities to the popular punjabi cuisine malai kofta recipe with same gravy but with different ingredients for kofta balls. it is a healthy curry which can be relished with roti, chapathi or jeer rice. 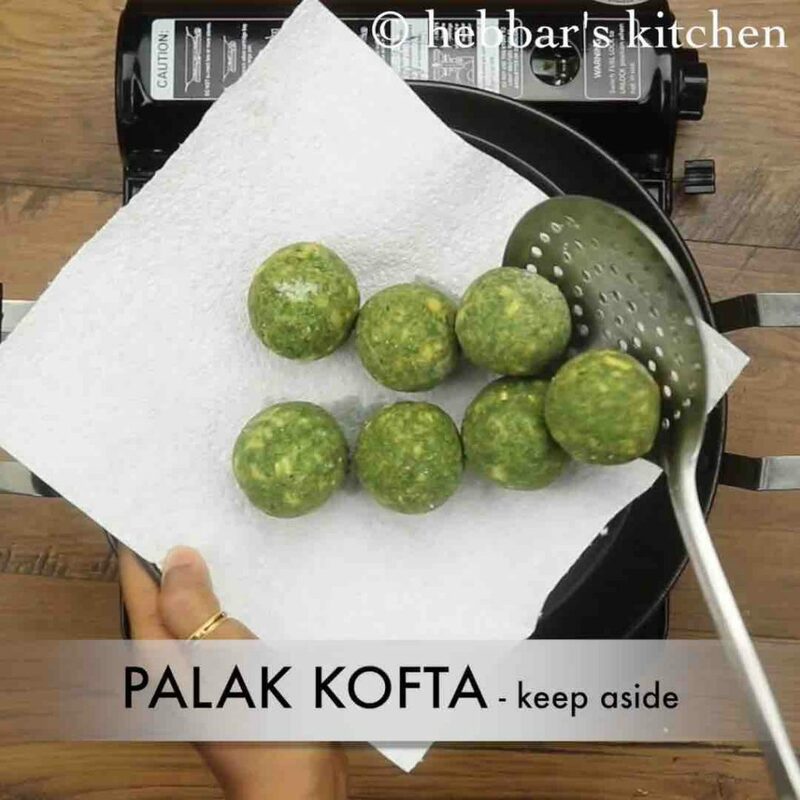 the recipe i have shown here is the simple and basic palak kofta recipe, but there are so many variations to this classic recipe. 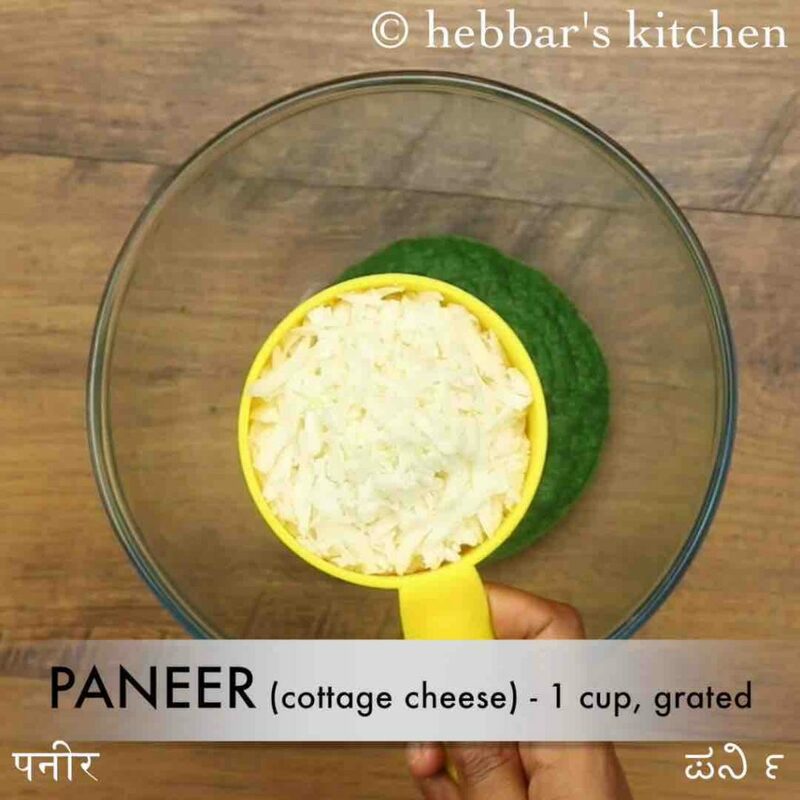 in this recipe i have prepared the spinach puree separately and mixed with grated paneer and boiled aloo. these are later shaped to balls followed by deep frying till crisp before using it in the creamy gravy. 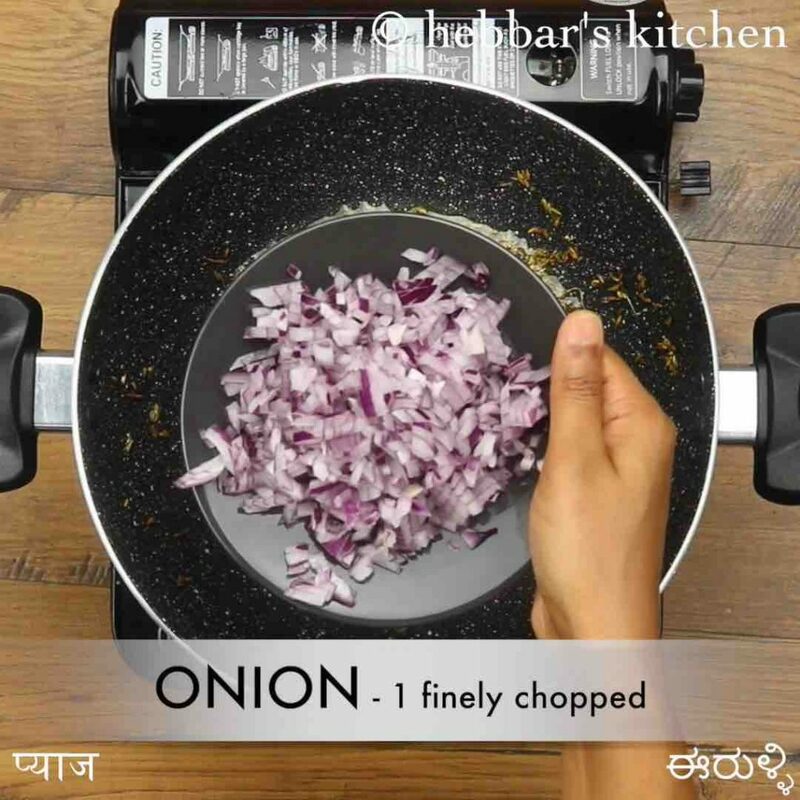 the other easy method is to finely chop the palak leaves, sauté them with onions and then mix it with paneer and potato mixture. 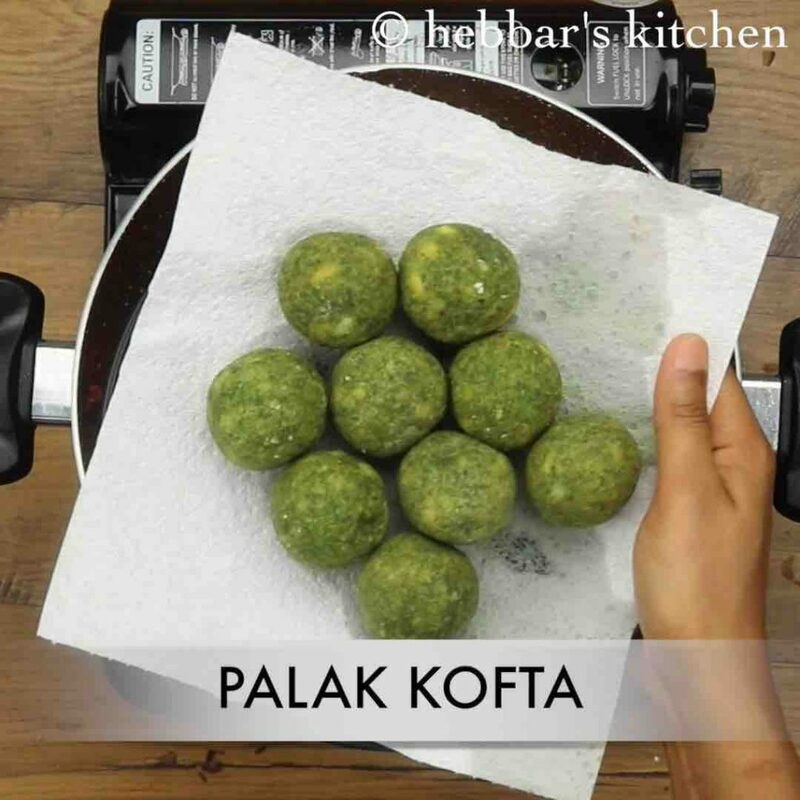 certainly a easy method but i personally do not like it with spinach not entirely mixing with kofta mixture. 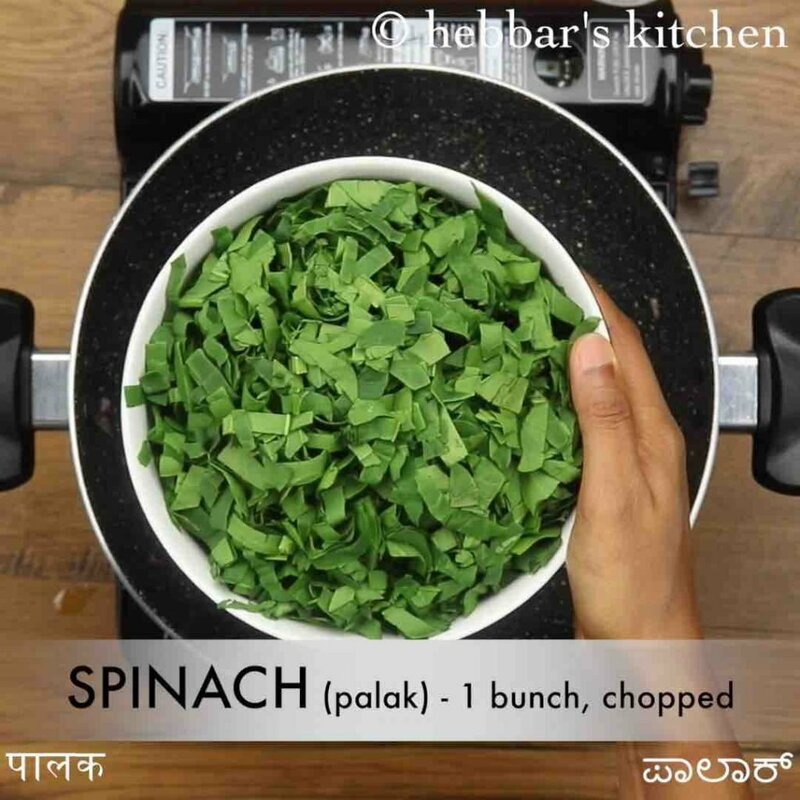 further the gravy can also be extended by adding the spinach puree to the gravy very similar to palak paneer or any spinach based curries. some tips, recommendations and variations to this classic north indian curry palak kofta recipe. 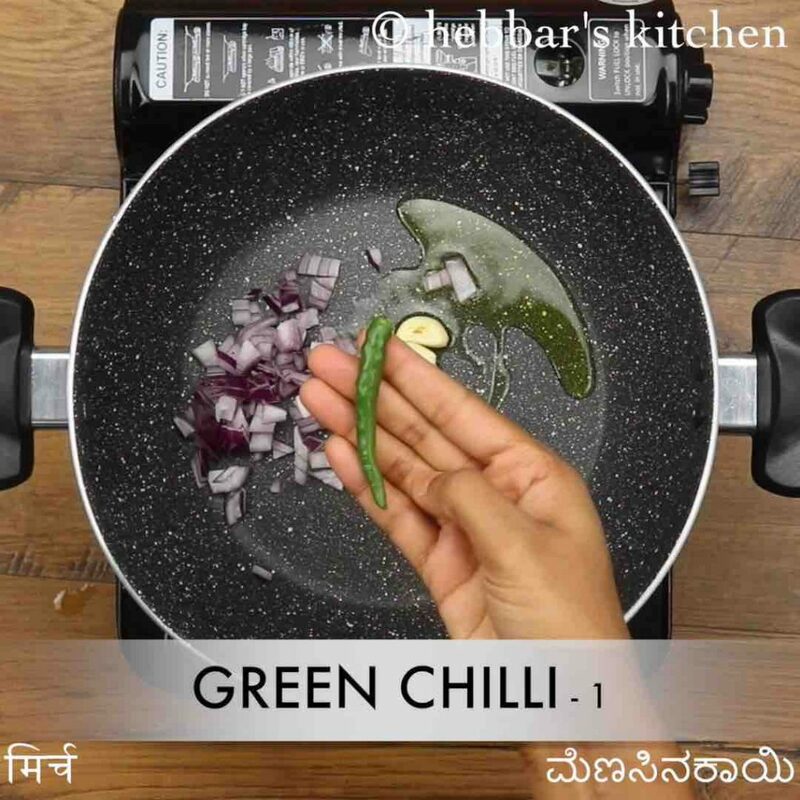 firstly, as variation to this curry you can prepare the green curry from spinach in the place for plain onion and tomato based curry. i personally like the red curry and not the green curry but it is completely optional. secondly, i have deep fried the spinach kofta before mixing it with curry. 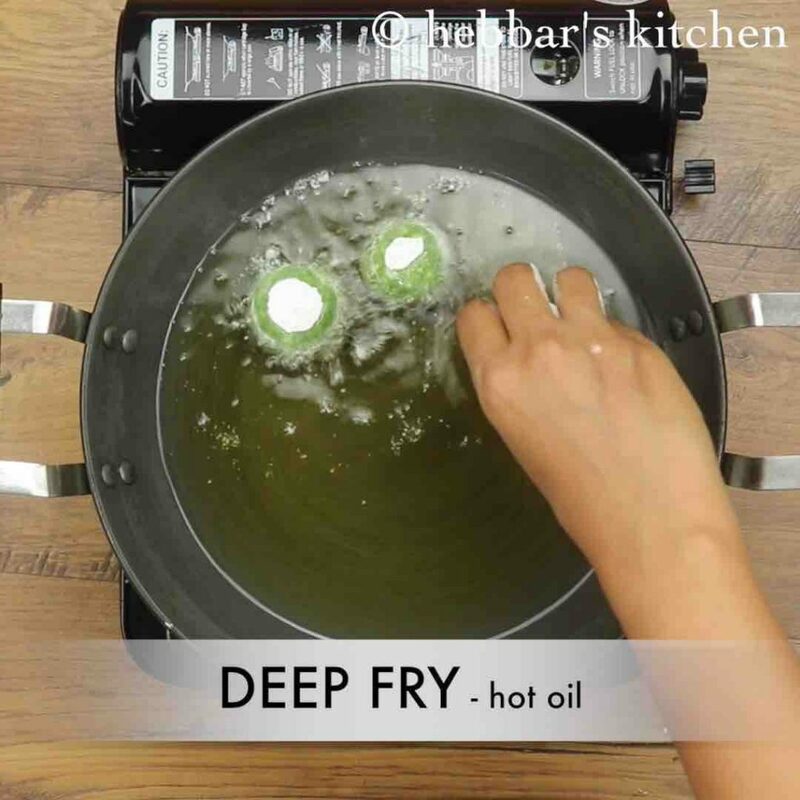 but an alternative you can pan fry them or even fry in appe pan for a healthier option. lastly, i would heavily recommend to add the kofta when you are about to serve. this ensures the kofta’s fresh and crisp or it may turn soggy. firstly, in a large kadai heat 3 tsp oil and saute 2 tbsp onion, 3 clove garlic, 1-inch ginger, 1 green chilli and 1 bunch of palak. 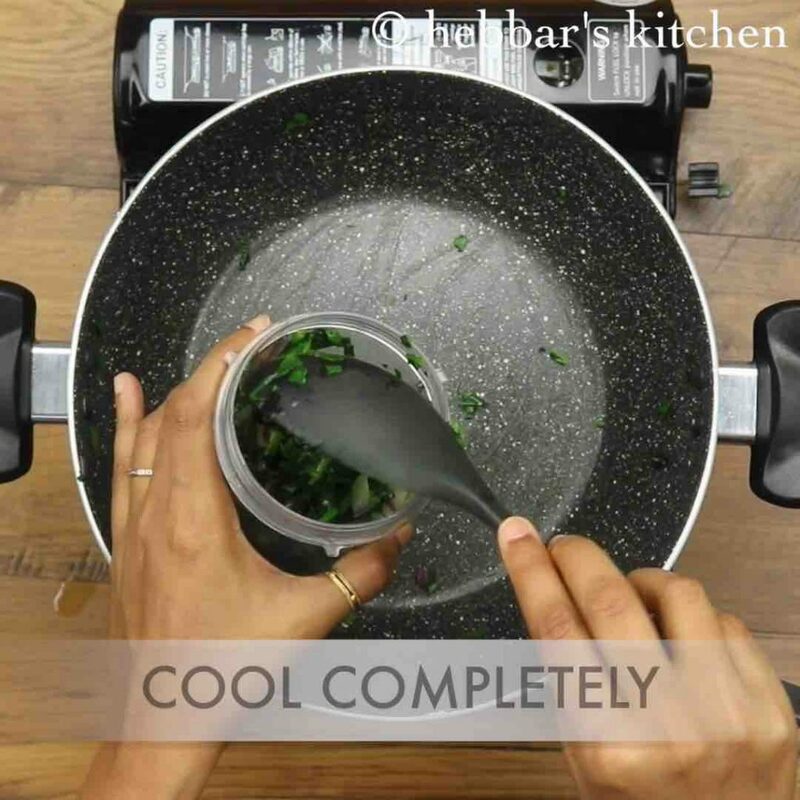 cool completely and blend to smooth paste. 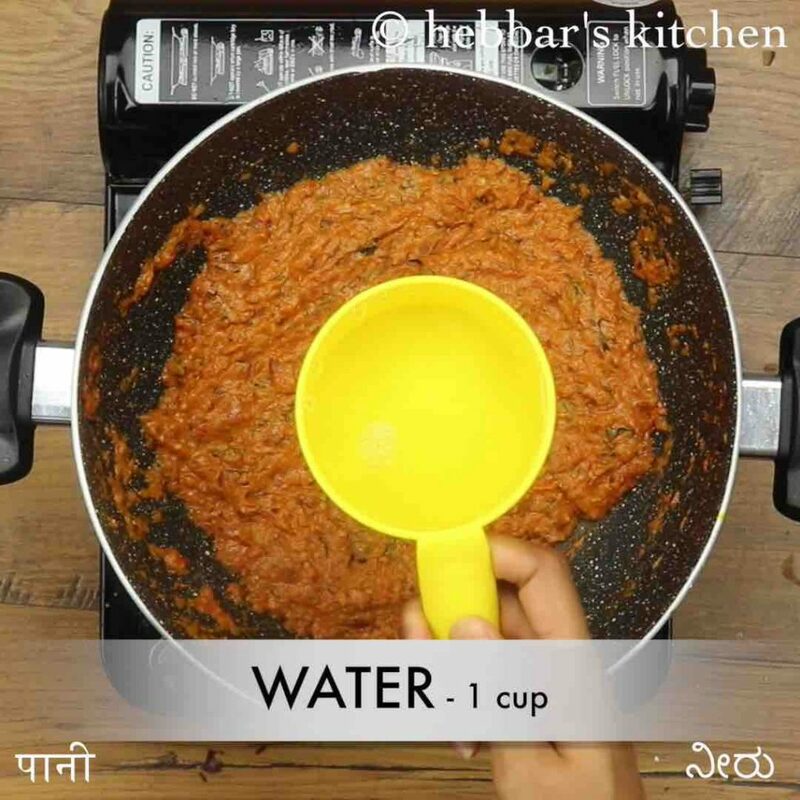 also add 1 cup paneer, ½ cup potato, ¼ cup besan. 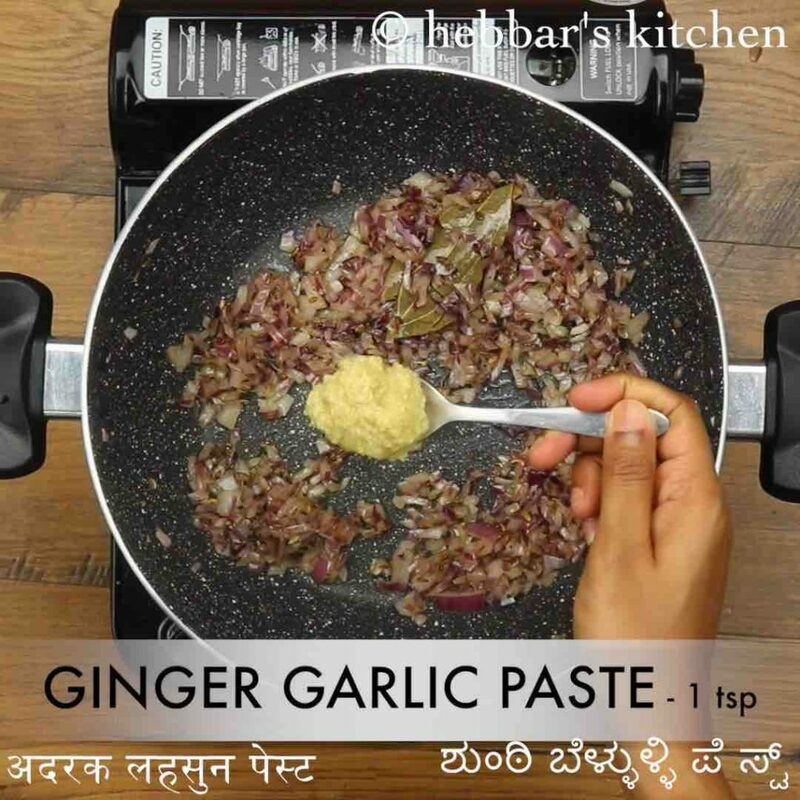 additionally add 5 cashews, ¼ tsp garam masala and ¼ tsp salt. 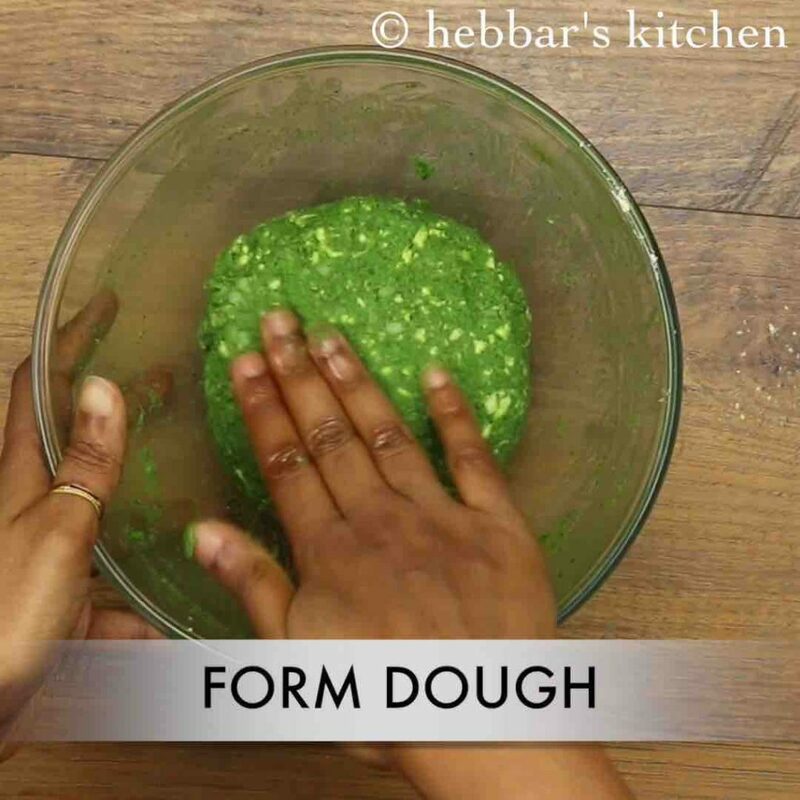 combine well forming a dough. prepare a round ball without any cracks. roll them in corn flour and deep fry in hot oil. 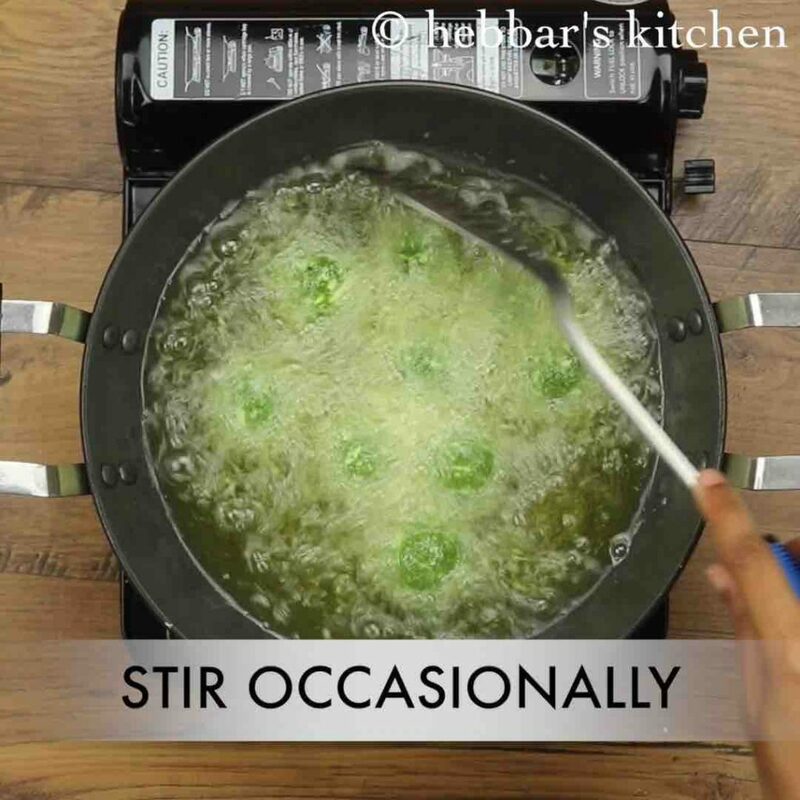 stir occasionally, and fry till the kofta turn golden and crisp. drain off the palak koftas and serve with curry. firstly, in a large kadai heat 3 tsp oil and saute 2 tbsp onion, 3 clove garlic, 1-inch ginger and 1 green chilli. also saute 1 bunch of chopped palak, till it shrinks and changes colour. 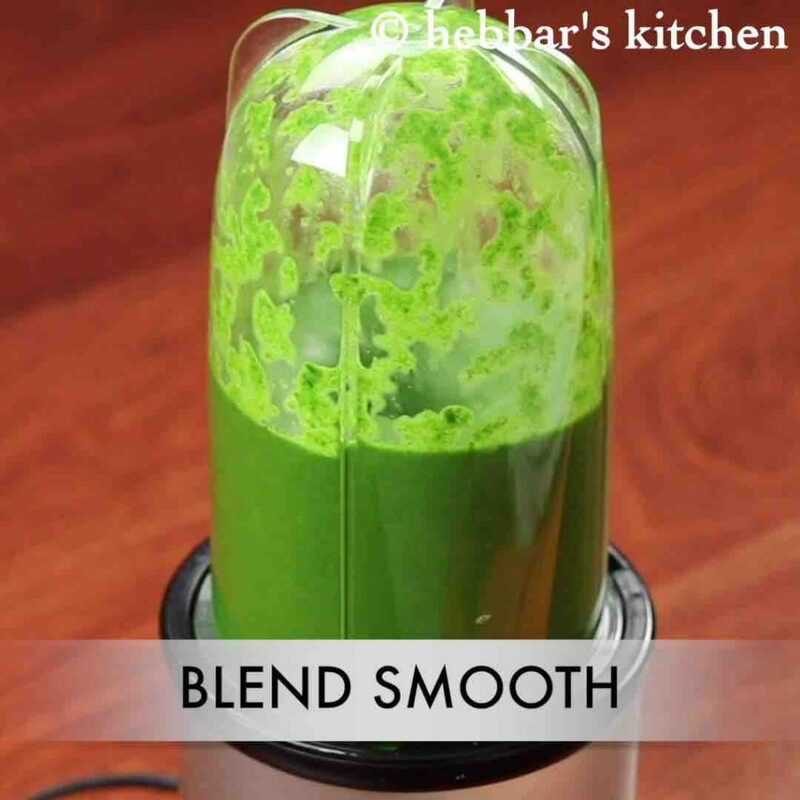 cool completely and transfer to a blender. 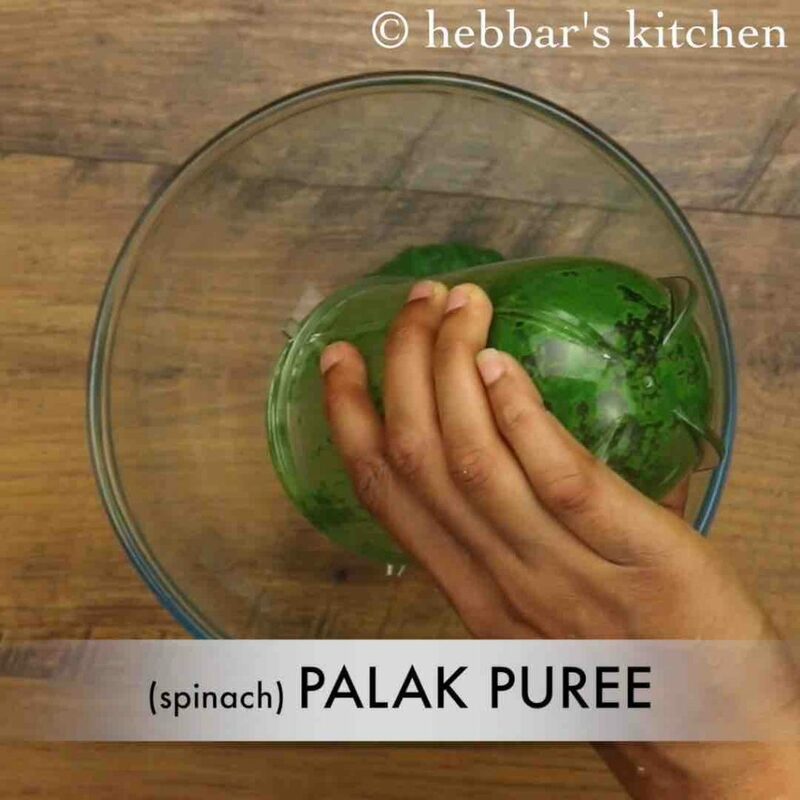 take the blended palak puree into a large mixing bowl. combine well forming a dough. if there is more moisture add in breadcrumbs and form a dough. 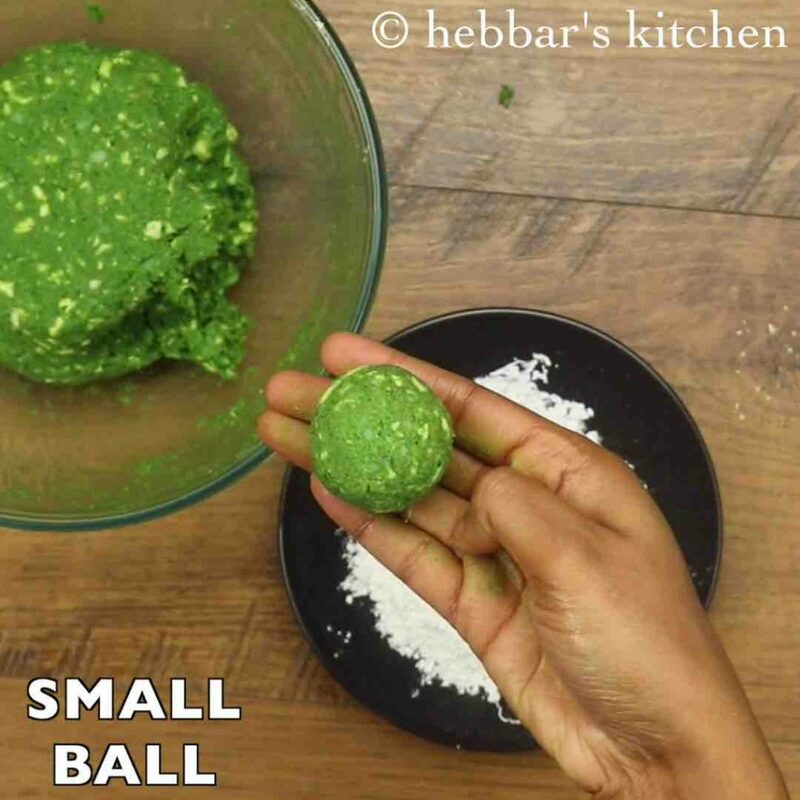 pinch a small ball sized dough and prepare a round ball without any cracks. 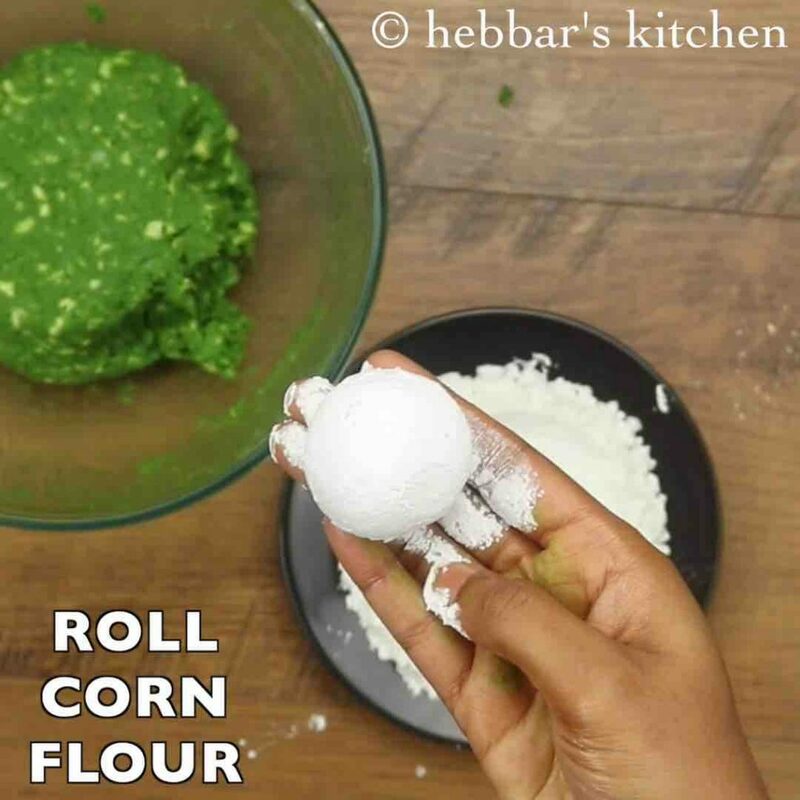 roll them in corn flour for extra crisp outer covering. deep fry in hot oil or bake in preheated oven at 180-degree celsius for 20 minutes. stir occasionally, and fry on medium flame. fry till the kofta turn golden and crisp. drain off the palak koftas and keep aside. 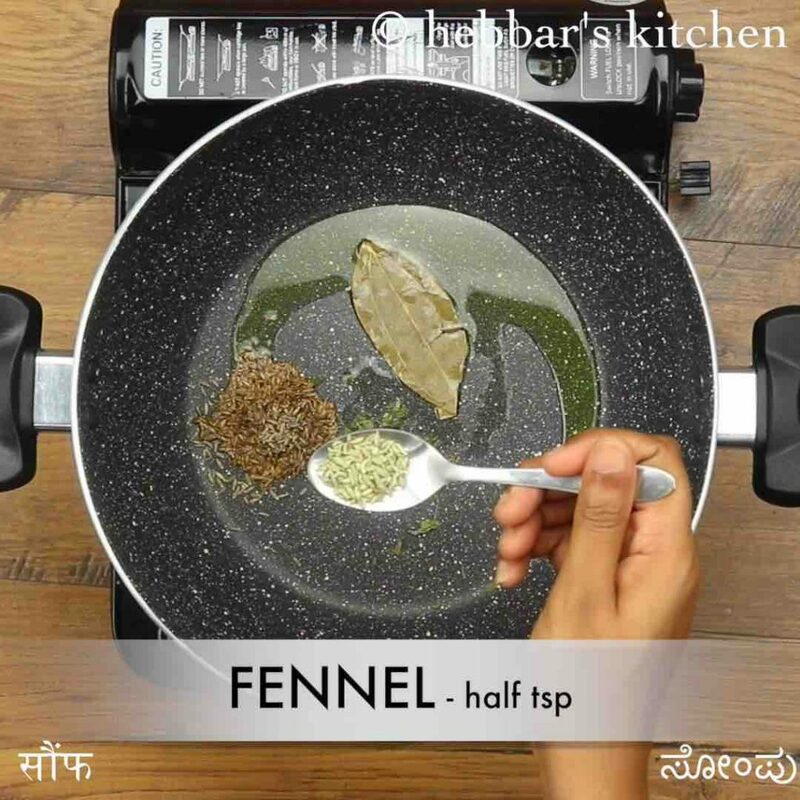 now in a large kadai heat 3 tsp oil and saute 1 tsp cumin, 1 bay leaf, 1 tsp kasuri methi and ½ tsp fennel. also, saute 1 onion till they turn golden brown. additionally, add 1 tsp ginger garlic paste and saute well. 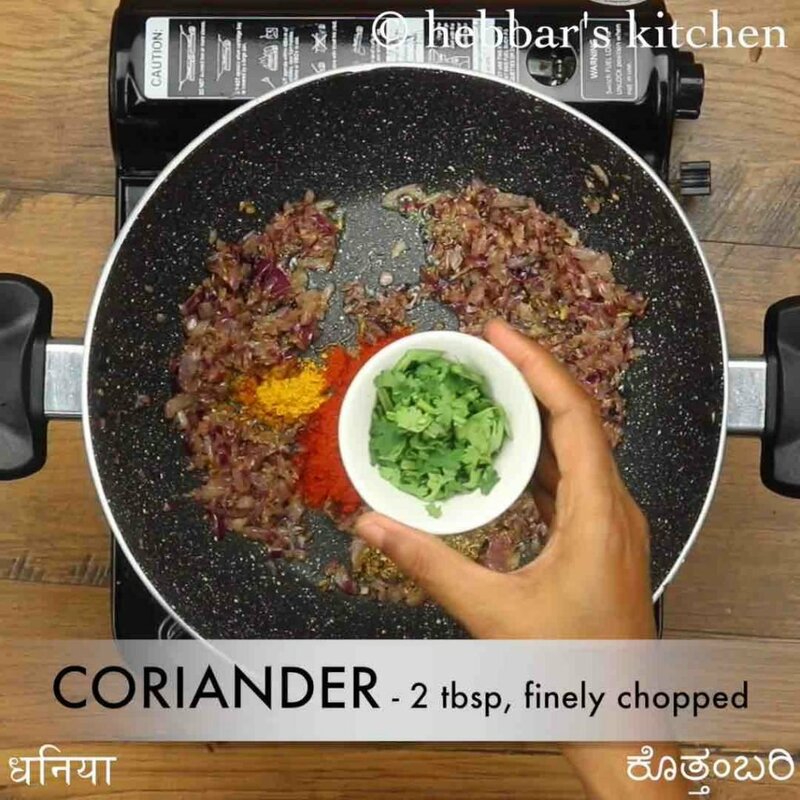 further add ½ tsp turmeric, 1 tsp chilli powder, 1 tsp coriander powder and 2 tbsp coriander leaves. now add 2 cup tomato pulp and mix well. 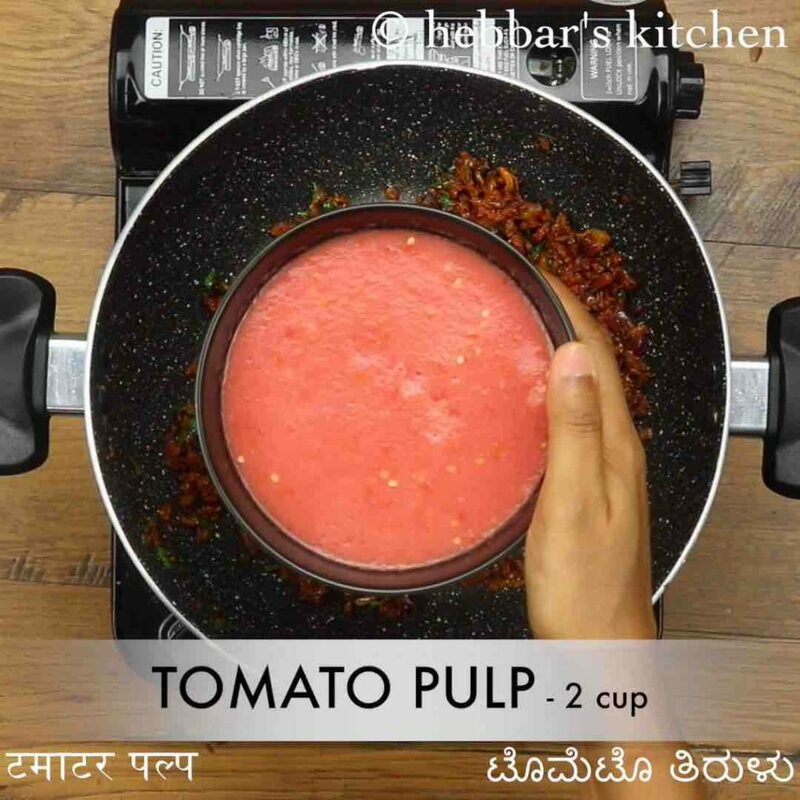 to prepare tomato pulp, blend in 3 large tomatoes into smooth puree without adding any water. 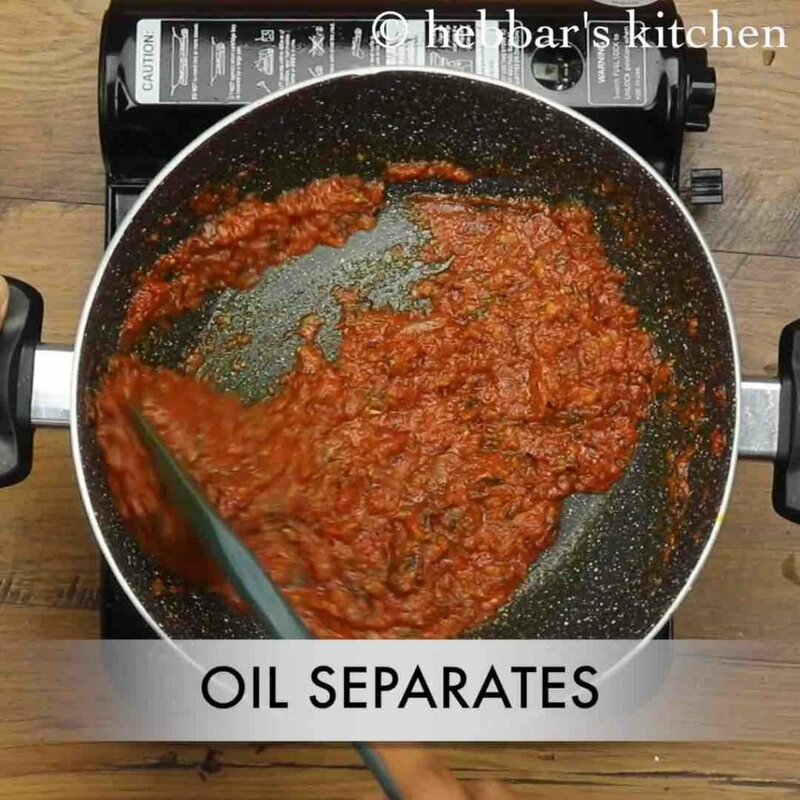 cover and cook till the oil separates from sides. now add ¼ cup cashew paste, 1 tsp salt and cook well. 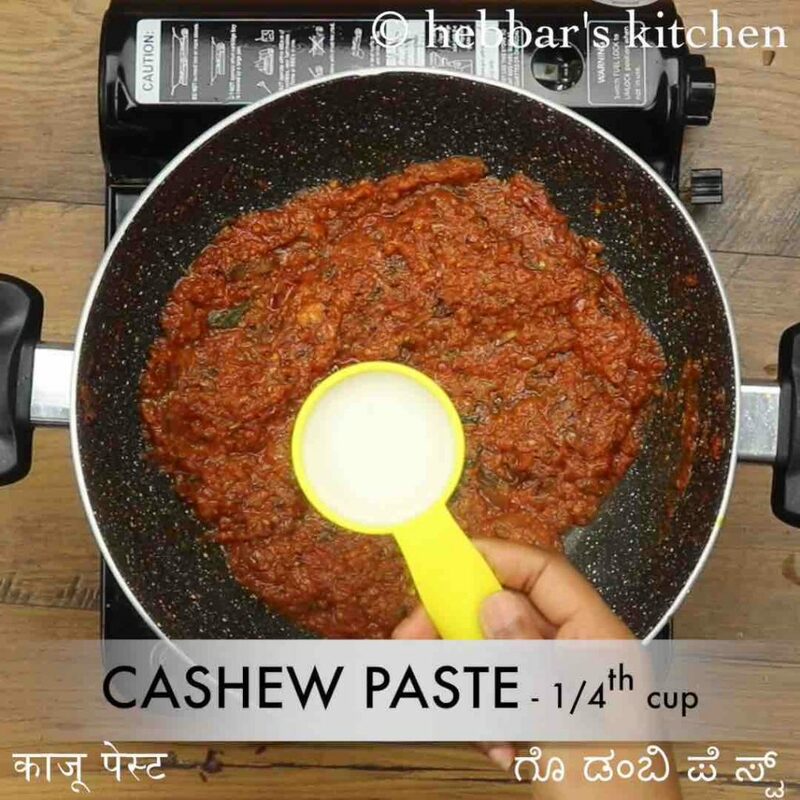 to prepare cashew paste, soak 10 cashews in ¼ cup warm water and blend smooth. furthermore, add 1 cup water and adjust consistency. add in prepared kofta balls and mix gently. 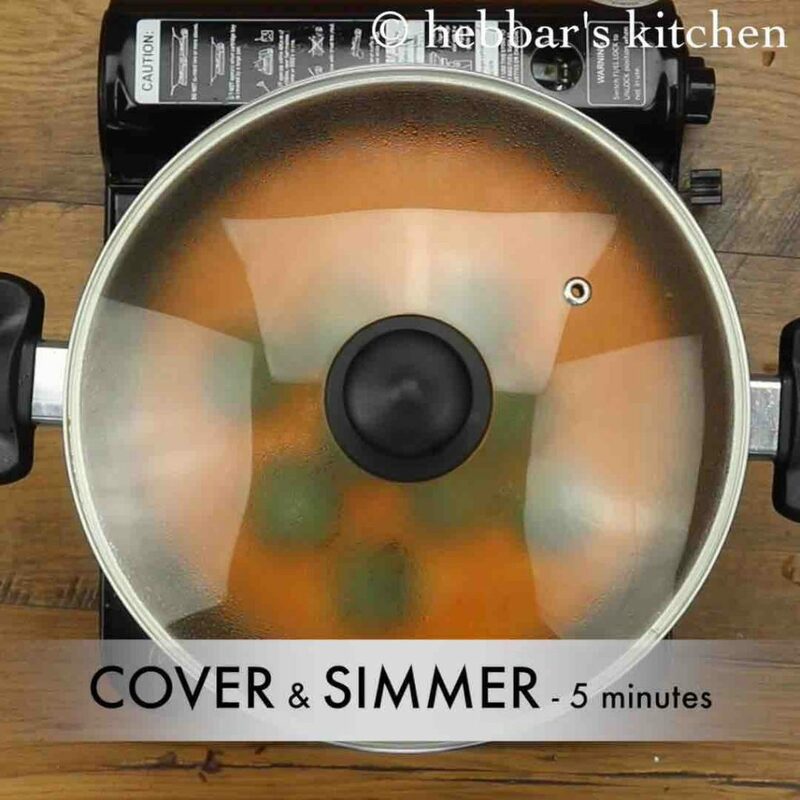 cover and simmer for 5 minutes or till kofta absorb masala. 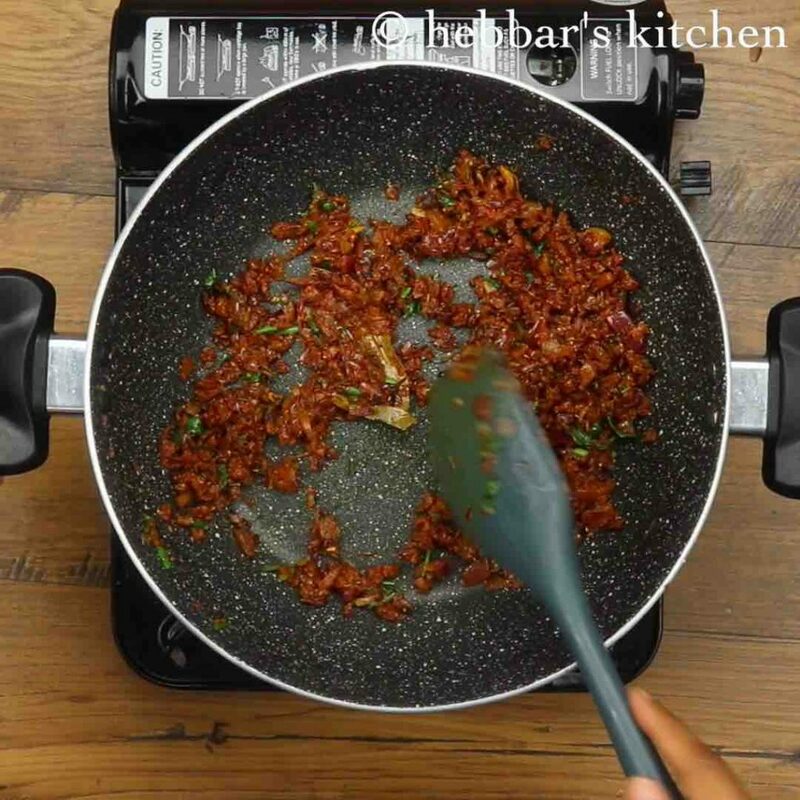 further, add ¼ tsp garam masala and 1 tsp kasuri methi. mix well. 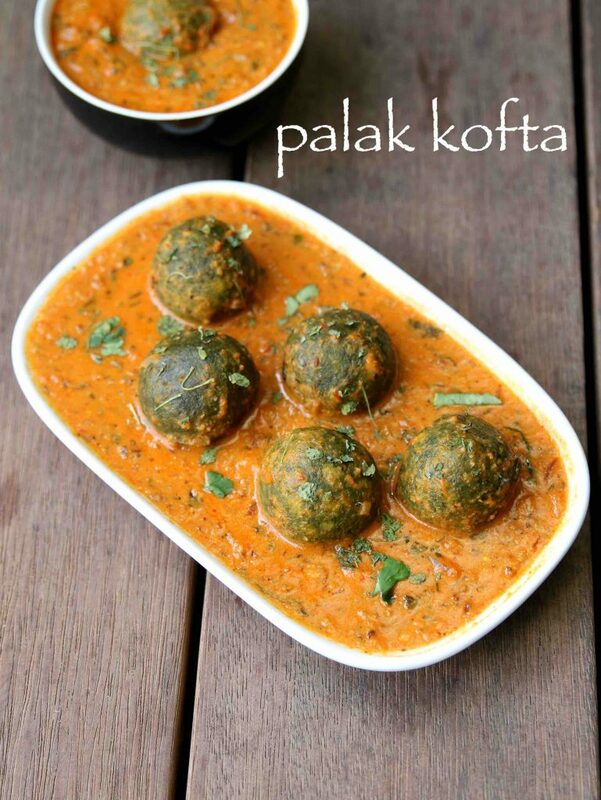 finally, serve palak kofta curry with chapathi or roti. 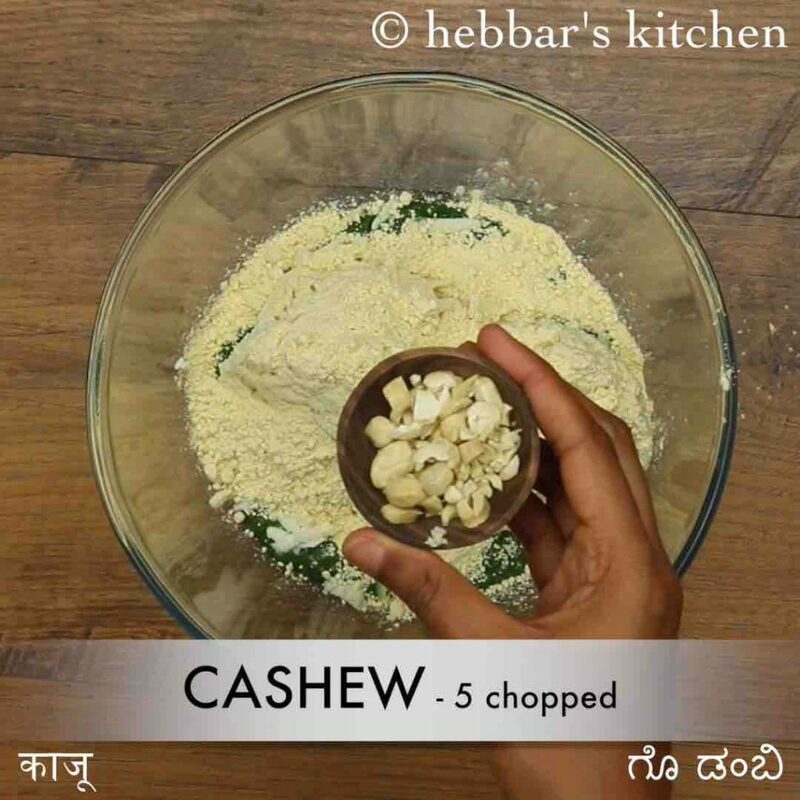 firstly, adding cashew pieces in kofta gives a crunchy bite to kofta. also, add cream along with cashew paste to prepare rich and creamy malai kofta recipe. additionally, cook the tomato pulp well, else the curry tastes raw. 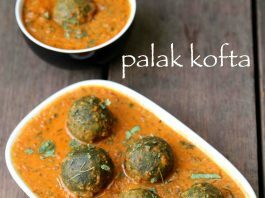 finally, palak kofta curry tastes great when prepared slightly creamy and less spicy.